Masked thugs assaulted a man before stealing his car in Halifax last night. Halifax District CID is appealing for witnesses to the incident in the car park of the Tesco store on Haugh Shaw Road at about 10pm. It occurred after the 25-year-old victim was approached by two masked men as he walked towards his car. The men demanded his keys and when he refused to hand them over he was assaulted. The suspects then made off in his blue VW Golf leaving the 25-year-old with a serious but none life threatening injury to his arm. He went to hospital for treatment. 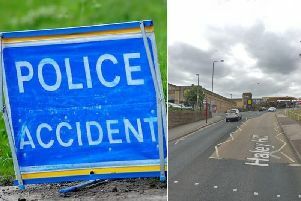 Detective Inspector Helen Madden of Halifax District CID, said: “We are appealing for witnesses to this incident and are carrying out enquiries into the circumstances of what has taken place.